A great all-purpose construction glove that has 3M reflective tape and a split cow leather palm. Ensures your safety by increasing your visibility. 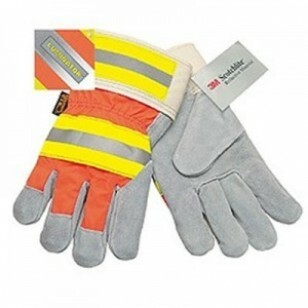 High visibility work glove has a GUNN cut wing thumb pattern with heel pull and safety cuff.